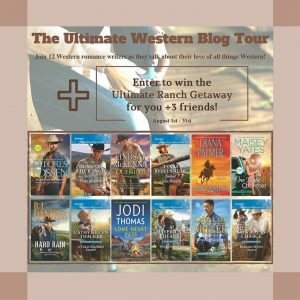 Today's stop on the TLC Ultimate Western Blog Tour features USA Today Bestselling Author Delores Fossen and Texas On My Mind, the first book in her HQN The McCord Brothers series. I enjoyed the second McCord Brothers book, Lone Star Nights (click to read my review) so much I immediately downloaded Texas On My Mind as well as the two series novellas, Cowboy Trouble and What Happens on the Ranch. I also have my book buying calendar marked for September 27th and the next book in the series, Blame It On The Cowboy. 1. The town of Spring Hill is named for my family’s ranch where I lived until I was eight years old. 2. In the book Riley has identical twin brothers. I have triplet sisters so I know a little about the “fun” that can happen with identical siblings. 3. Like Riley, I was an Air Force officer, and I got to meet several special ops guys, including some Combat Rescue Officers. 4. My three-year old nephew gave me the name for the town’s café, Fork & Spoon. His second choice was Eat Up. 5. My daughter was getting married at the time I wrote the book, and I asked her wedding photographer research questions since the heroine, Claire, and he share the same profession. 6. Claire’s two-year old son, Ethan, loves toy cars as did my own son. I got to witness plenty of play time with a toddler and his cars and used that in some of the scenes. 7. Even though I don’t mention it by name, I patterned the base that Riley visits after Lackland AFB in San Antonio. 8. I often use pictures of celebrities on my story board when I’m writing. The one I used for Riley was actor, Josh Hartnett. 9. Like Claire, I have done a house remodel and have scraped plenty of wallpaper. It was just as hard for Claire as it was for me. 10. My working title for the book was Have I Told You Lately, but I like Texas On My Mind much better. 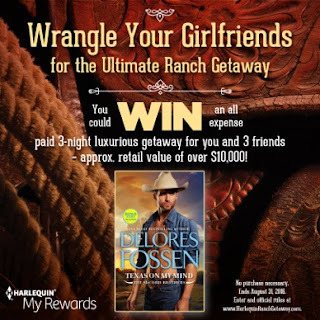 Click the graphic below for a chance to win the Wrangle Your Girlfriends Ultimate Ranch Getaway! Do you enjoy contemporary romances with a Western flair? Have you read Delores Fossen's books yet? Did you know the Harlequin American Romance line is now called Harlequin Western Romance? What other Harlequin Western authors are you reading? Love the post. I see that I read several on the list regularly. Can't wait to at the post from the blog tour. Thank you, Pamela! Love the prize that Harlequin is giving away. Wish I could win, lol. I do enjoy contemporary westerns, as well as historicals. 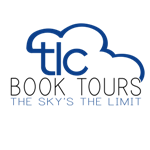 Linda Lael Miller and Jodi Thomas have written some good ones. Cheryl, I agree. I love their books! I even like some western historicals. LOL. So do I. In fact, I started out writing western historical and then moved to contemporaries. Thanks for featuring Delores for the tour!